A Grand Opening Ceremony will start your new venture off on the right foot. 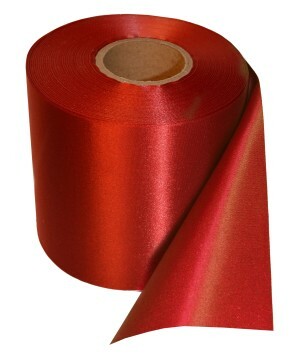 Find all the necessary supplies to have an exceptional Ribbon Cutting Ceremony at WonderCostumes.com. 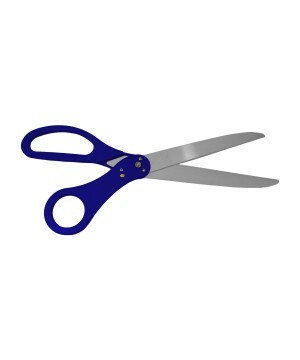 Giant Scissors are more than just a gag; they will be kept as mementos of the special day when you made your public announcement. 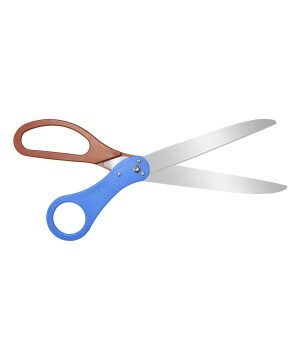 Get high quality—fully functional—Oversized Ribbon Cutting Scissors at prices that consider your budget. 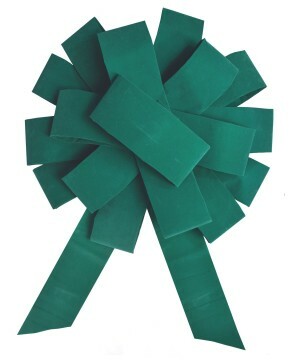 You will also find the lustrous Grand Opening Ceremonial Ribbon in 4 or 6 inches at great prices. 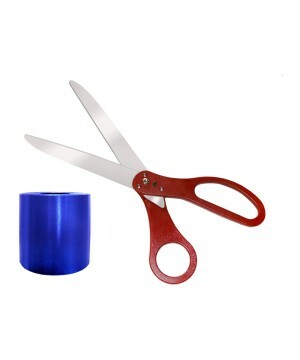 If you wish, you can bundle your purchase into a Ribbon Cutting Kit that will include the Scissors and the Ribbon for an even better deal. The Ribbon Cutting Ceremony has been a business tradition since the 18th Century derived from old European customs. In the olden version of the Ceremony, the Ribbon was meant to represent strong unions—voluntary and involuntary—among spouses, relatives, slaves and masters, etc. The cutting of a Ribbon would symbolize newly acquired freedom from a wanted (or unwanted) relationship. Ribbon Cutting Ceremonies took place to celebrate broken unions among spouses just as well as the liberation of a slave. With time, this tradition evolved into what we now know as the Grand Opening Ribbon Cutting Ceremony. The purpose of the contemporary version of this celebration is to publically announce the official start of a new business or organization. 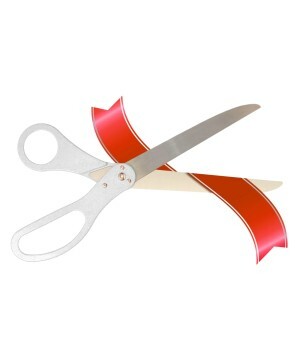 The Ribbon Cutting is symbolic—Giant Scissors Cutting a Giant Ribbon—likening the act to breaking the seal of a brand new item. However, it’s important to note that a Ribbon Cutting event is not exclusively used for apertures. 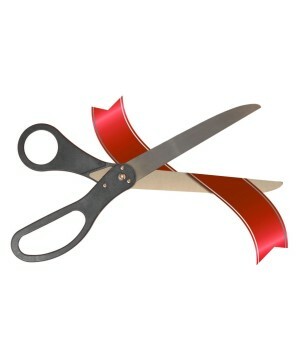 In the modern business/organizational world, there are endless reasons for Ribbon Cuttings to take place. Some of the more notable occasions besides Openings include company mergers, re-openings after a facility has been remodeled, change of ownership of a business entity, or simply the addition of a new key person to the staff of a reputable organization. Regardless of the reason that a Ribbon Cutting Celebration takes place, the benefits of this type of event are consistent. At first glance, the Grand Opening is the perfect opportunity for the organization to introduce the new change taking place. What better introduction than inviting local media personalities to cover the event? Of course, the presence of the media alone is not enough; the coverage you get should include footage of appearances made by other important people in your industry, community and a fanatical audience. The idea is to show that there is a real interest in what you are doing, and thus the celebration is due. So is it all showboating? Not necessarily. 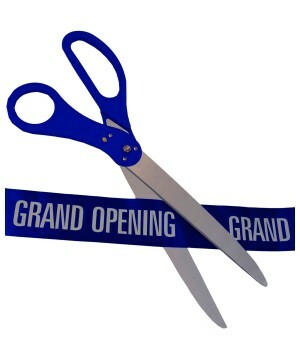 Grand Openings may be interpreted as an organization or business “patting itself on the back” for all to see. However, if done right, a successful Grand Opening will eliminate this misperception. 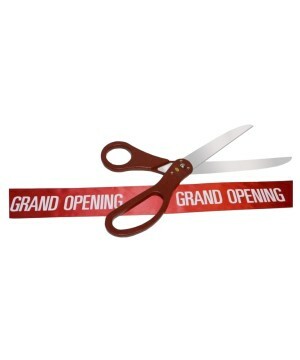 One of the ways you can make a real impact with a Ribbon Cutting Ceremony is by inviting the right audience. Don’t just tell the general public to show up; most organizations serve a particular niche that will probably find your cause more appealing—instead of taking the luck of the draw. Whether you get food lovers at your burger joint or charity supporters of your benevolent cause, a genuine audience of passionate individuals will make your opening a success. You can do some things to hit them close to home and get legitimate emotional response—offer specially made samples of your product, invite a key speaker with a compelling message, etc. No matter how you spin it, just be sure to connect with your audience at a personal level. Beyond strategy, it is important to recognize that there are material elements at play that should be treated with the same regard. It is an absolute must that the actual Ribbon Cutting includes quality materials. The Ceremonial Ribbon should be at least 4 or 6 inches wide so that it is clearly visible to all attendees—not to mention, it will look much better in pictures and film. The color should be bold and eye-catching; Red is typically used because of its natural vibrancy but Royal Blue and other similar strong colors are also popular. Look for examples of Ribbon Cuttings that do not use these standards and you will see that the lack of a good Ribbon significantly cheapens the event. 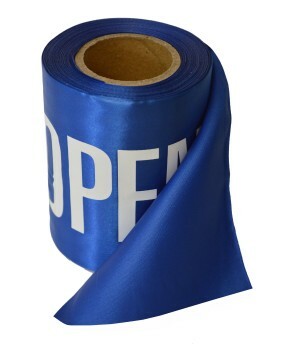 You want a your Grand Opening to have a look and feel of quality, you may even take it a step further by getting a Printed Ceremonial Ribbon with the words ‘Grand Opening’ stamped across—or any other message of your choice. 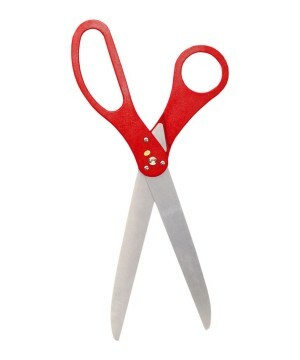 Now, the Scissors HAVE to reflect quality. The Ribbon Cutting Scissors are special because they are often saved—even framed—as keepsakes to commemorate the event. 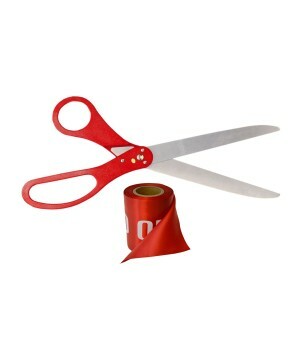 You should NOT perform a Ribbon Cutting with a pair of regular Scissors, that’s like giving your soon to be spouse a candy pop wedding band at the altar. 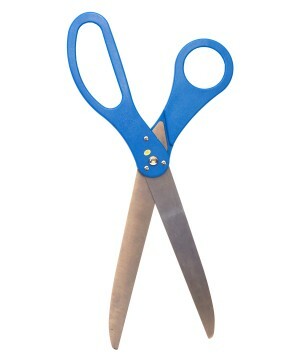 Funny as they may look, the Giant Ribbon Cutting Scissors should be made from real metal and should be fully functional—not just a gag prop. Hopefully you will find the information on this article helpful in planning for your Grand Opening Ribbon Cutting Ceremony. 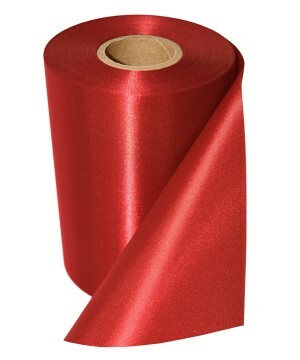 WonderCostumes.com will gladly lend you a hand in finding the right supplies for a successful event. Contact info@wondercostumes.com should you have any question or desire further guidance. Futurama's Professor Farnsworth knows the importance of the Ribbon Cutting Scissors. ï¿½ 2019 WonderCostumes.com. All Rights reserved.